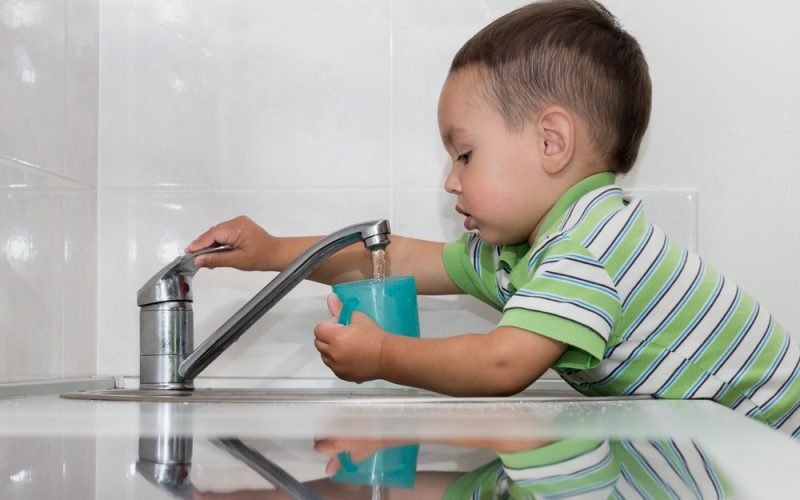 Lead poisoning: is your tap water contaminated? Is your tap water safe from lead contamination? The issue of lead-contaminated city water burst into the national conversation in April 2014, when Flint, Michigan, announced that its city water was contaminated with toxic lead. The problem began when the city switched water sources and failed to treat its water correctly, allowing lead from old pipes to leech into the water supply, causing a major public health hazard. The effects are still being assessed, but between 6,000 and 12,000 children were exposed, and many may experience significant health problems. As bad as it is for one city to have lead issues, the problem isn’t limited to Flint. In 2016, a USA Today investigation found that about 2,000 municipal water systems serving 6 million people showed levels of lead contamination that exceeded the Environmental Protection Agency’s standards. The investigation noted that at least 180 of those systems did not notify customers as required by federal law. Lead comes from many places. People, especially children, can ingest lead from paint, house dust (contaminated from paint), food, and soil, as well as water. The body accumulates lead, so continued exposure to even low levels will build up and possibly cause harm. Young children, babies, and fetuses are at especially high risk. Even low levels can damage the nervous system and brain, resulting in learning disabilities and behavioral problems, stunted growth, impaired hearing, and anemia. In pregnant women, lead can inhibit the growth of the fetus and cause premature labor. City water becomes contaminated from the corrosion of old pipes that transport the water, or from old pipes inside the home that deliver it. Prior to 1987, lead was used in plumbing material and solder, which is in contact with water. When plumbing deteriorates, the lead can leach into tap water. Lead can also come from fixtures, particularly brass or chrome-plated faucets with lead solder. Lead was banned in plumbing in 1986 (it had been banned in residential paint almost 10 years earlier), but homes built prior to that year will more likely have lead pipes, fixtures, and solder. So is there a “safe” level of lead contamination? The EPA’s goal is for zero contaminant levels. However, lead is pervasive in the environment, beyond the ability of most community water systems to completely eliminate, so achieving that level is usually not feasible. When lead contaminants reach a certain level (usually 15 parts per billion), federal law requires the water utility to notify its customers. The EPA mandates that all community water systems send a yearly water quality report called the Consumer Confidence Report by July 1 each year. This should be available on your water utility’s website. You can find your community’s CCR by clicking here. You can also test your own water for lead by asking a certified laboratory to sample your water. You can find a list of certified labs from your state or local drinking water department. The cost is usually between $20 and $100. Run the tap using cold water for 1-2 minutes to flush the water system. Standing water will have higher lead concentration, especially if it has been sitting in the pipes for over 6 hours. Use cold water. Warm or hot water has higher levels of lead. Boiling water does not remove lead from water. Widespread awareness of lead in city water became an issue after Flint, Michigan. Up to 2,000 municipal water systems might have lead issues. You can check yours by looking at the EPA’s Consumer Confidence Report. If your water has lead, take active steps to reduce the level. Environmental Protection Agency. Drinking Water Requirements for States and Public Water Systems. “Nearly 2000 water systems fail lead test,” USA Today. Centers for Disease Control and Prevention. Lead.